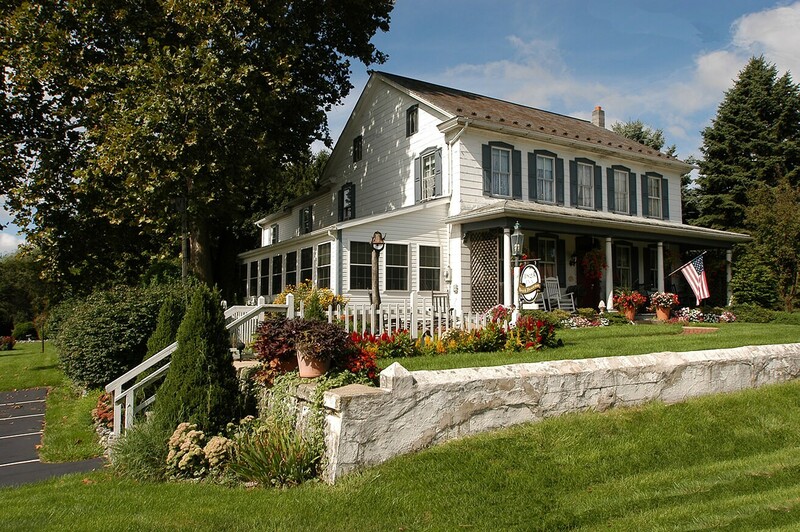 This 1825 Farmhouse features eight guest rooms, each uniquely decorated with private baths, AC, all season fireplaces, and Jacuzzis. Some rooms also have a private entrance. During your stay you will enjoy two acres of lovely gardens with a gazebo, a delicious full breakfast on our enclosed porch, afternoon refreshments and wireless Internet. We are conveniently located three miles from Hershey Park! We look forward to your visit so you can relax and get rid of the day-to-day stresses. Ask about our Romance Package!